With each year that passes, CinemaCon heralds a treasure trove of trailers, clips and scintillating promos for Hollywood’s summer season, and 2017 was no different. Two months ago, the annual Las Vegas showcase hosted the likes of Spider-Man: Homecoming, Wonder Woman and War For The Planet Of The Apes – to name but three – though at least when it comes to the latter, 20th Century Fox has maintained a radio silence ever since. That looks set to change very soon indeed, with Trailer Track reporting that the final trailer for Matt Reeves’ visually stunning threequel will screen before Alien: Covenant next week. Ridley Scott’s horrific prequel-sequel, another 20th Century Fox joint, is set to hit theaters Stateside on May 19th, and though the early critical consensus is admittedly less-than-stellar, the filmmaker is still in the process of formulating one or two Covenant sequels. Either way, expect Scott to be knee-deep in black goo once more within the next 14 months. 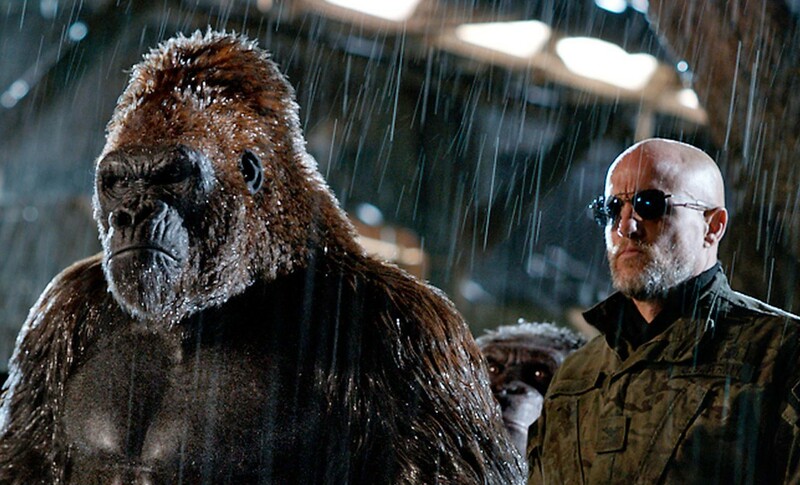 In terms of War For the Planet of the Apes, though, Reeves and Co. have promised a sequel that holds stronger ties to the classic Apes films of old, as evidenced by the inclusion of Amiah Miller’s Nova. Elsewhere, Woody Harrelson is attached to the part of a badass Colonel, who will spend much of the film hunting down Andy Serkis’ Caesar and his Simian army. Also on board are Steve Zahn, Karin Konoval, Judy Greer, and Terry Notary. For freedom. For family. For the planet? War For the Planet of the Apes sparks an interspecies conflict of epic proportions on July 14th. Both Rise ($481 million) and Dawn ($716 million) have placed the bar fairly high when it comes to box office expectations, but with an all-star cast in tow – coupled with the sheer gravity of Caesar’s harrowing (and perhaps final?) journey – we’re fully confident that Matt Reeves’ blockbuster threequel can live up to the hype.